Have you ever dreamed of being one of those people who hands out homemade candy at Christmas, but secretly loathe those with that much time on their hands during the holidays? Well my friend, this recipe is for you. 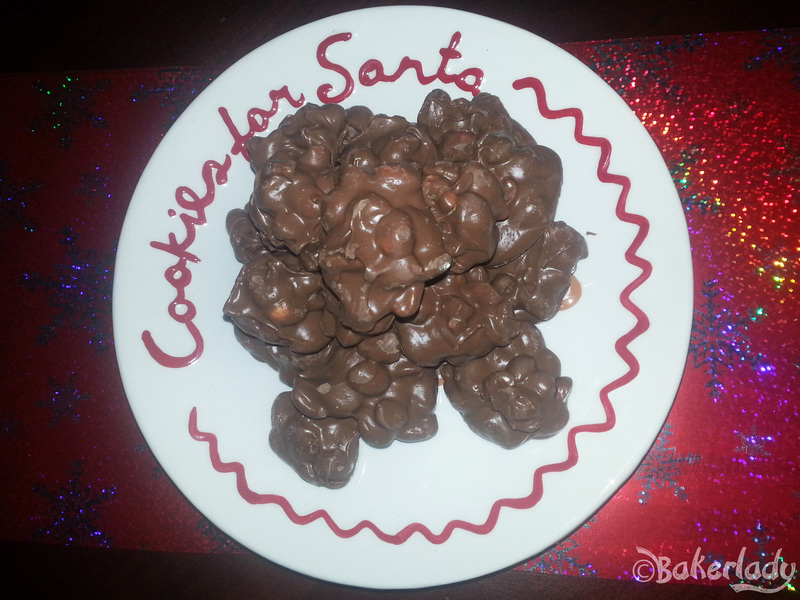 I’ve been making cookies, candies, treats and tasty things at Christmas time for two decades (sheesh I’m old), and never have I found a goodie that takes less time and effort than this Crockpot Christmas Crack. 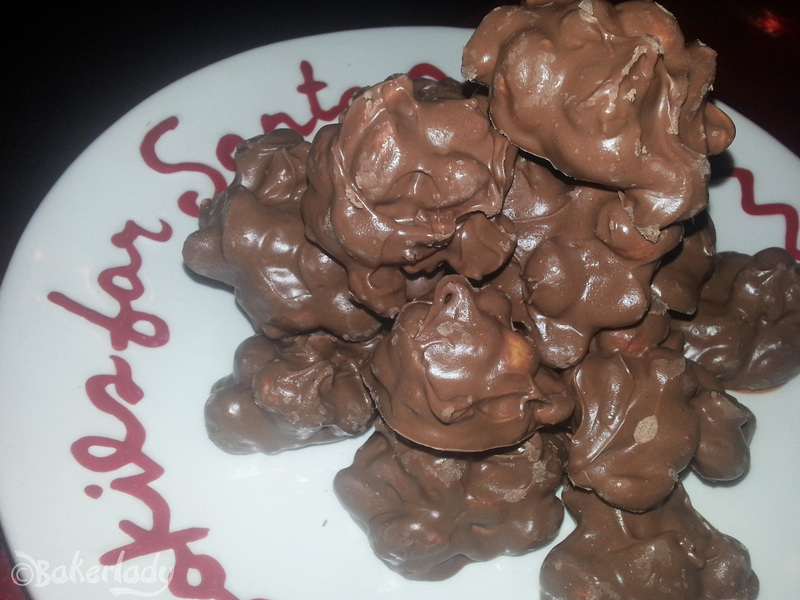 This stuff is the easiest Christmas candy ever. EVER. You literally throw all the ingredients in a crockpot, wait a bit, stir, then drop blobs out onto wax paper to cool. Boom. Done. For the super fancy, you can drop the candy blobs into mini cupcake liners. Ooooooh, so very Martha, Betty, Paula, Ina of you! Bonus. It tastes incredible. Peanuty chocolatey goodness. You’d swear it came from an upscale sweet shop. Double bonus. It makes a TON. You’ll be able to gift a bag to your neighbors, your co-workers, church small group, kids sports team, cashiers at the corner store, postman, hairdresser, in-laws, out-laws, the butcher, baker and the candlestick maker. Plus still have enough to leave some for Santa, and make yourself sick off what’s left. Layer all ingredients in a large crockpot (starting with peanuts). Turn the pot on low, cover with lid, and leave sitting for 30 minutes. Then, remove lid and stir to combine. Replace lid and leave sitting for another 15-30 minutes. 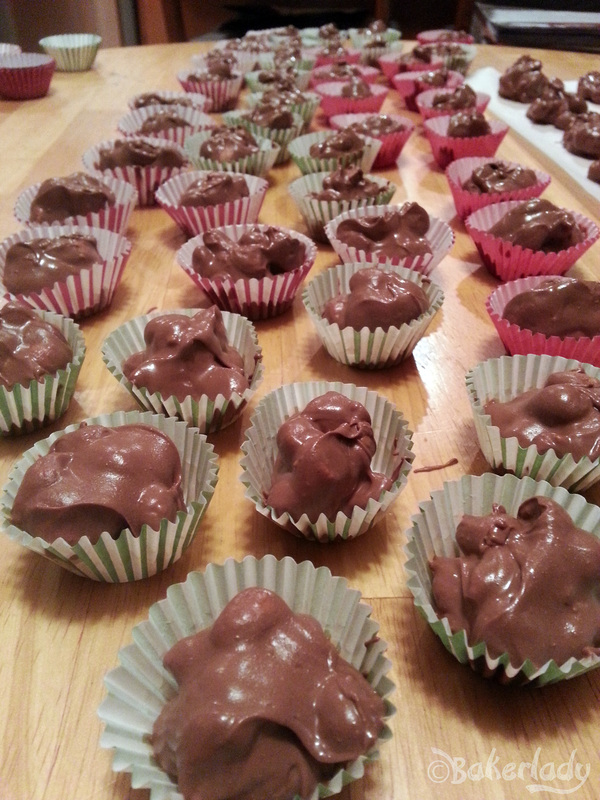 Stir again and then spoon mixture on to wax paper, or if you are feeling SUPER fancy, drop into mini-cupcake liners. Allow to harden for at least 1 hour. Enjoy! You think you’re old? If you’re old, what am I??? Thank you, want to try these recipes! Yum! Thank you bakerlady. My batch needed about 20 more minutes to get completely melted. It made over 100 in the mini cupcake liners. Wow! What could be substituted for the peanut butter chips?